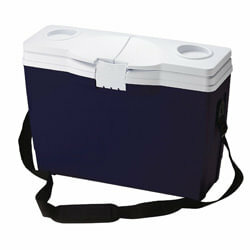 The most successful cooler brands are able to provide products that vary from each other and fit your specific needs. 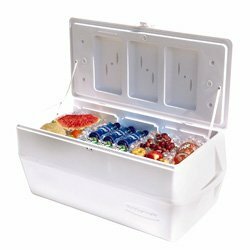 While that’s hard to come by with any item, even coolers, you’ll be happy to know that Rubbermaid offers ice chests that have a variety of features that depend on what you’re looking for. Some of this brand’s options are heavier than others, but only so that they can carry as many drinks and food as you desire for your upcoming party. 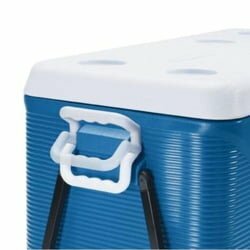 They are also designed to be moved differently from one another, depending on if you feel like carrying your cooler on your own and prefer pulling or pushing an ice chest on wheels. 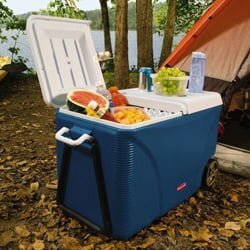 While all of Rubbermaid’s coolers are designed to be tough enough for any situation, some of them do a better job in certain environments than others, and some are fit for more than one occasion. The main goal for Rubbermaid since its inception nearly 80 years ago has been to offer products that make life simple, and its ice boxes aim to do just that with whatever you plan to drink and/or eat. 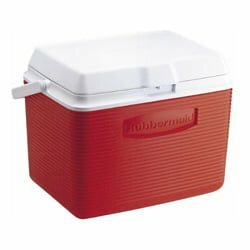 If you want to learn more about how they accomplish that, continue reading this Rubbermaid Coolers review. 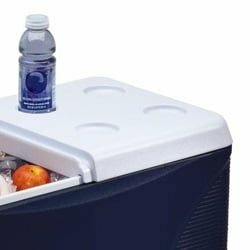 If you’re worried about your cooler keeping your drinks and refrigerated food in prime condition for the rest of your get-together, then we recommend the DuraChill Series to make that worry go away. 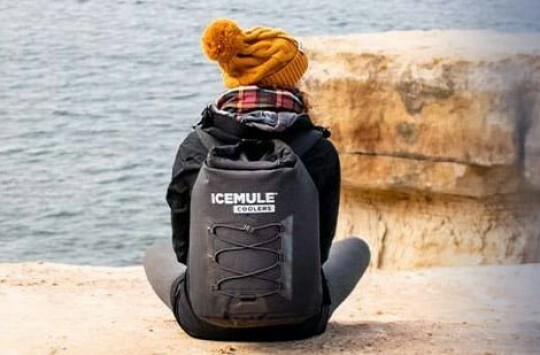 This option comes with extra thick insulation keeps ice cold for up to 5 days, making it perfect if you have a camping trip coming up this weekend or a vacation at the beach with friends and family. 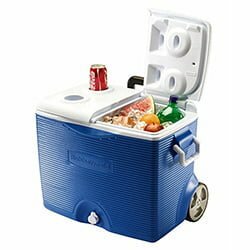 This cooler comes with wheels to make it easy to carry for barbeques and parties in the mountains or at the beach, and its side swing handles make it an easy carry by providing a comfortable grip. The 60 QT option is the only one that comes with a metal and plastic pull handle that you can easily retract. The hinged, split lid makes it easy to get your hands on whatever is inside while keeping the cool air inside. You also won’t have to worry about your drinks and food getting contaminated thanks to the easy-to-clean liner, which comes with Microban antimicrobial protection. This member of the DuraChill Series is available in red and blue in case you have a color preference. 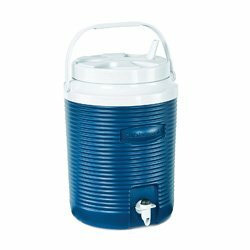 The most versatile 60 QT option measures 16.25 in. X 29 in. X 18.25 in. 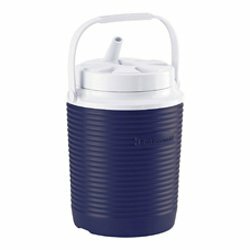 and weighs about 15 pounds, making it an easy carry and able to store enough cans and bottles for a single person to bring to a party. Other sizes are listed below. Check them out and choose the one that best suits your needs. Holds 75 cans plus ice. Holds 82 cans plus ice. 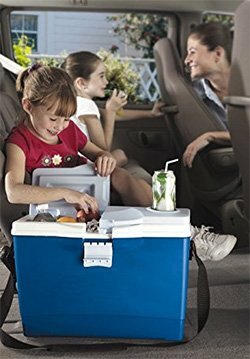 Even with other members of Rubbermaid’s DuraChill Series that don’t come on wheels, users will be treated with cold drinks and snacks thanks to their superior thermal retention. Whatever you have inside will stay cold long enough to keep everyone at your party satisfied. You’ll be happy to know that Rubbermaid has plenty of non-wheeled options that give you an easy time carrying them to your destination. 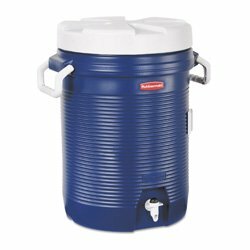 These offerings include the 5 QT, 10 QT, 20 QT, 24 QT, 34 QT, 48QT and 54QT coolers, all of which have a top-swing handle to make carrying them a piece of cake. 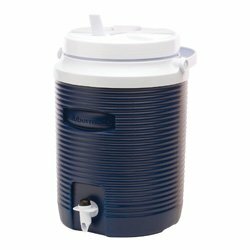 Additional features include stain and odor resistant construction to make sure that your drinks and food stay clean and don’t smell, along with a liner that makes it easy to clean your ice chest when you head home from the party. 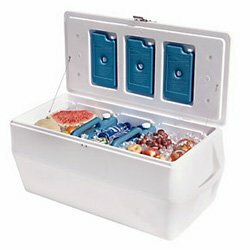 These ice chests, along with Rubbermaid’s other options, are also made in the United States, which should sound good to anyone looking to support more “American-Made” products. 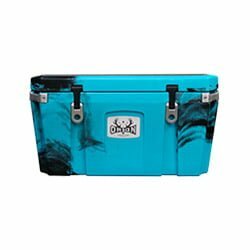 These options are also available in red and blue in case you want to try a different color with your next cooler. 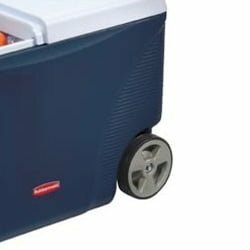 Capacity for these non-wheeled coolers include 6 cans plus ice for the 5 QT and go up to 82 cans plus ice for the 54 QT option. 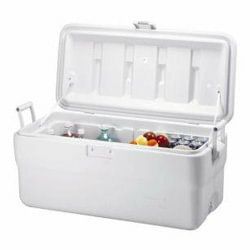 The largest of these options measures 13.75″ L x 24″ W x 18.13″ H, ensuring you can handle all the food you pack for it. Holds 12 cans plus ice. Holds 26 cans plus ice. Holds 68 cans plus ice. Holds 14 cans plus ice. 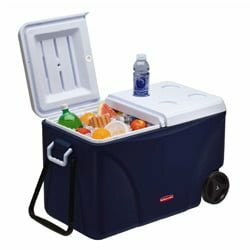 Having cold drinks and food ready for the grill is the hope of every cooler owner when they open their ice chests, and Rubbermaid’s Slim 13.2 QT Cooler ensures that with its superior thermal retention. 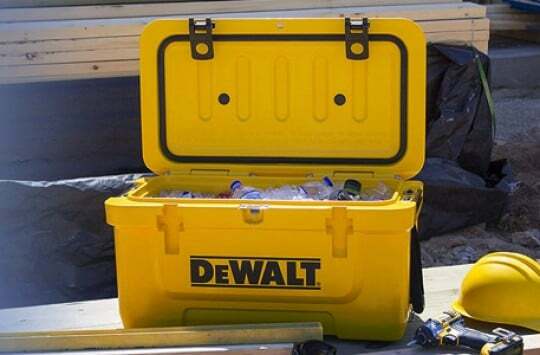 You’ll be able to keep your items cold enough to keep everyone satisfied for the rest of the night. What helps the Slim Cooler stick out from other offerings is that it is designed to fit in tight spaces for security and easy access. This also makes it easy to travel with this cooler, as does the padded shoulder strap so that you can use your hands to carry other items that are not suited for it. 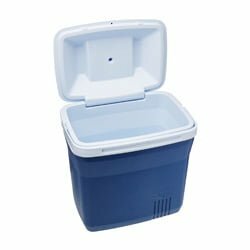 This ice chest is also stain and odor resistant and comes with an easy-to-clean liner to make removing any smudges easy at the end of the day. 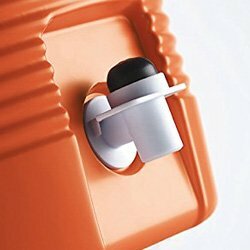 The hinged, split-lid provides cup holders to make it easy to take out food and beverages. We recommend using this option specifically for car trips or going to sporting events, as these scenarios involve a lot of traveling. 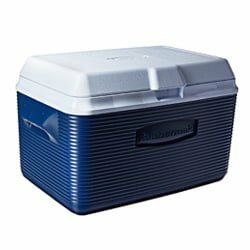 The Slim Cooler is also an easy carry because of its size, as it weighs only 1 pound on its own and has a dimension of 20.7 in. X 15.6 in. X 7.7 in. 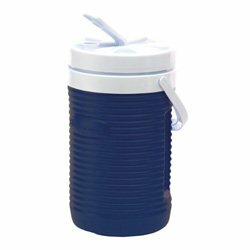 It can hold up to 14 cans of soda or beer, which means that you won’t have to bring too much, but enough, to whatever event you go to. 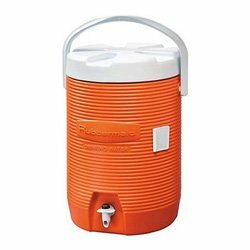 Rubbermaid’s water jug, which is a great fit for both sporting events and outdoor activities, is able to keep drinks cold and everyone involved in your games energized thanks to its extra-thick insulation. Users will have superior thermal retention so that you won’t have to deal with warm water after you’re draining from a game of volleyball or lacrosse. We know how wild games can get, so it’s smart to have a cooler that can withstand being knocked over by people running and shoving each other. 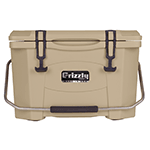 It has a durable, crack-resistant polyethylene jacket that keeps the cooler from getting scratched or dented. 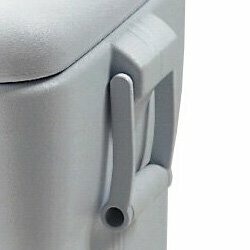 You won’t have a hard time cleaning the ice chest after the game thanks to the design of the inside liner. 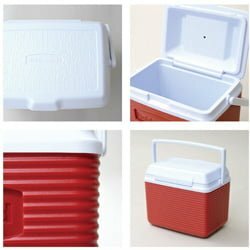 In-molded handles are included to make the cooler easy to carry, and the lid is easy to tighten and keep everything inside. 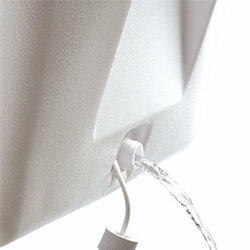 The drip-resistant spigot ensures that you don’t have a hard time emptying the cooler at the end of the day. 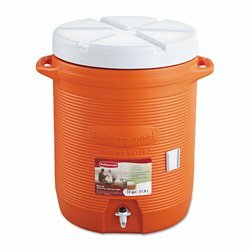 Rubbermaid’s Water Jugs are available in multiple sizes, ranging from 1/2 gallon to 2 gallons for Victory Line and then from 3 gallons to 10 gallons for the rest. Such a broad selection practically guarantees that you’ll find the right size for your own needs. Also, as a thing to note, all options starting from the 2 gallons Victory line have a drip-resistant spigot. 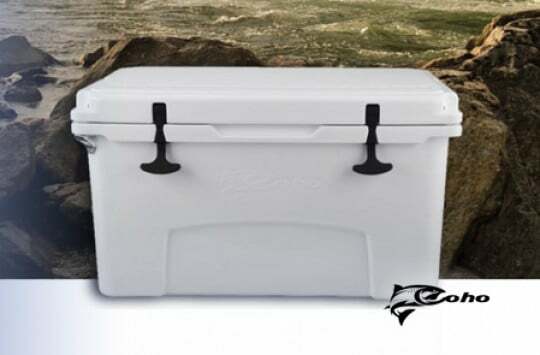 It’s one thing to have a cooler that can keep your drinks cold for a day or two, but it’s another thing to have one that keeps them in prime drinking condition for up to a week. You have that option with Rubbermaid’s Marine Cooler, which does so thanks to its extra thick insulation. 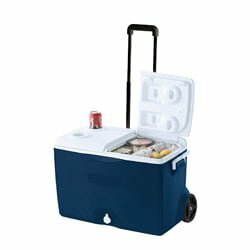 This series of ice chest is designed to deal with the worst of situations in regards to weather, making it perfect for parties both inside and outside. You can also use it to hold your drinks on the outside thanks to its built-in cup holders, which can hold 12-oz cans and 20-oz bottles. 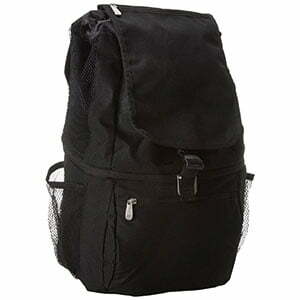 The built-in extra wide handles have a rugged design so that you and your friend have an easy time carrying it. The lid is also sturdy enough for two adults to sit on it. 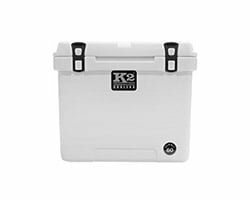 Additional features include the drain plug for getting rid of water at the end of the night, an inside liner that makes the cooler easy to clean, and a stain and odor resistant construction. 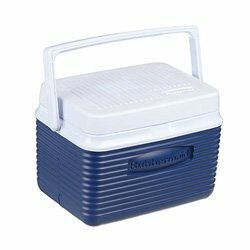 The Rubbermaid Marine Ice Chest Lineup include two sizes: 102 quart and 150 quarts. Both of these are available in standard and GOTT options. TIP: More information and a detailed review of Rubbermaid Gott Marine coolers can be found in our latest post here. The main differences between the Standard option and the GOTT are the type of materials used and the additional equipment. 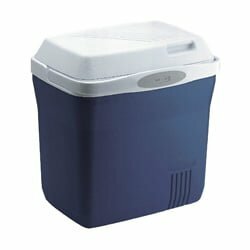 As both Standard and Gott Marine Coolers have built-in slots for removable freezer packs, only the Gott cooler come with the freezer packs for the lid slots included. 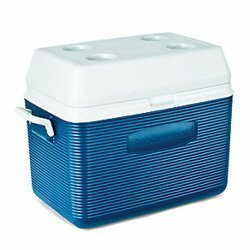 As for the materials, Standard Marine Cooler has plastic hinges and a plastic lid latch, unlike the Gott cooler which has them made of stainless steel. 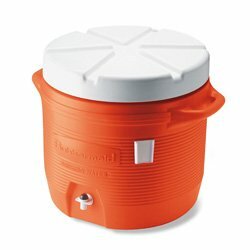 Rubbermaid Coolers For Sale – Where to Buy? 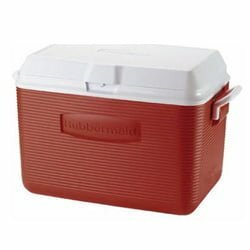 Amazon serves as our recommended choice for buying Rubbermaid’s coolers, as it comes with reviews and Q&A that serve as a second opinion in case you’re having second thoughts. You can easily return your pick in case it doesn’t perform to your liking, and Amazon Prime members are able to enjoy free shipping and other benefits. 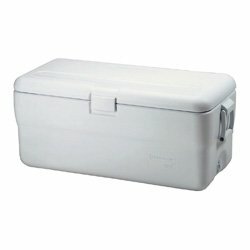 You can also get these coolers at Rubbermaid’s official website in case you want to try a different shopping spot. It is an accomplishment for any product to be simple to use while having high functionality. 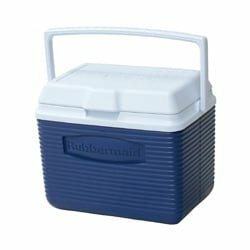 With this review of Rubbermaid coolers, you have a list of options for any party or sporting event coming up that requires cold, refreshing drinks. 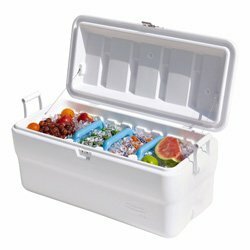 Some of these ice chests are fit for get-togethers at the beach or a campsite, while others are more suited for a big game that you’re either going to or playing in. 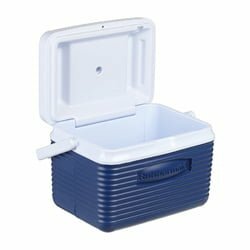 There are also coolers that are great for both situations. 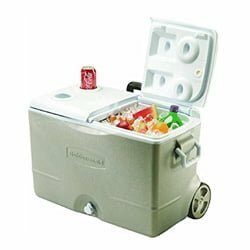 If you’re looking for a simple, reliable cooler that ensures a relaxing experience at a fun event, take Rubbermaid’s options into consideration.